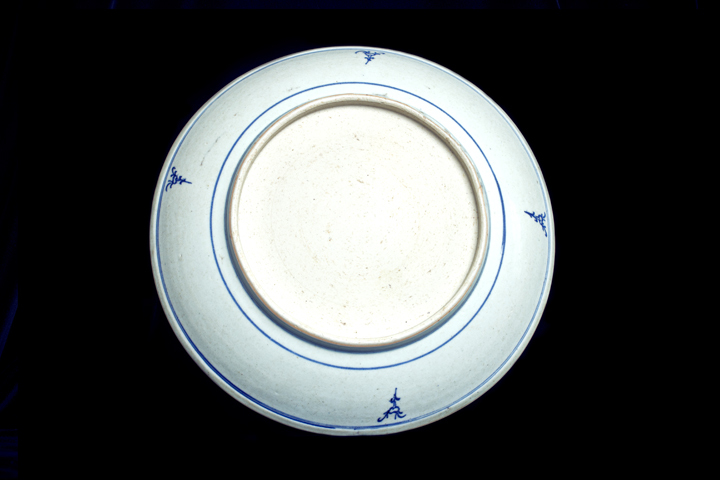 Appraisal: This Blue and White Big Dish was made in the Jingdezhen Kiln, and belonged to the Emperor Qianlong era of the Qing Dynasty. 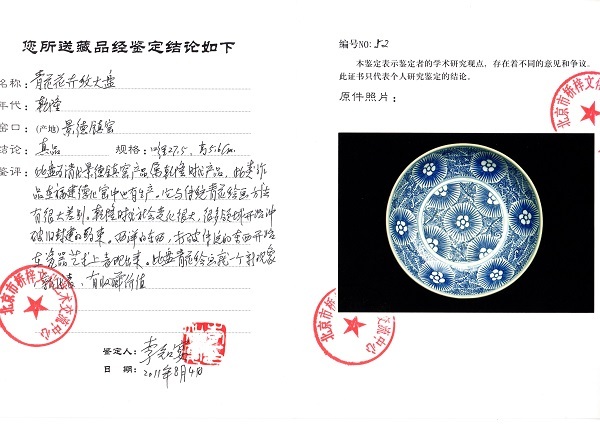 Such works were also produced in the Dehua Kiln of Fujian region. Its drawing method is very different from that of the traditional blue and white paintings. In the Qianlong era, there were many social changes so many areas began to break away from the constraints of the old feudal system. 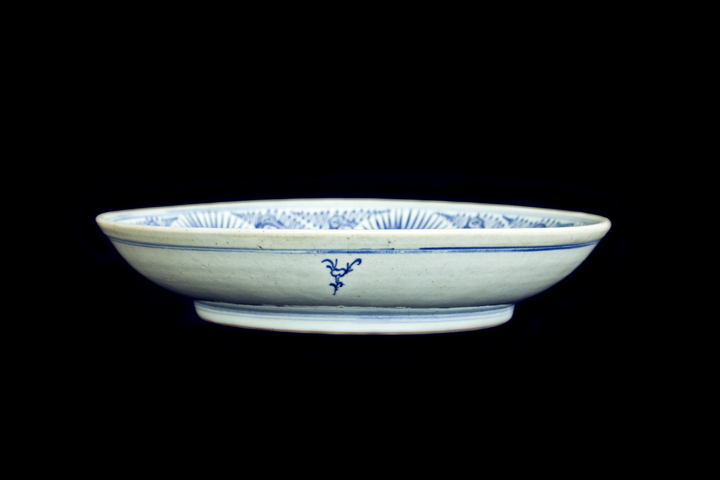 Western art (which was considered untraditional) began to surface through porcelain art. 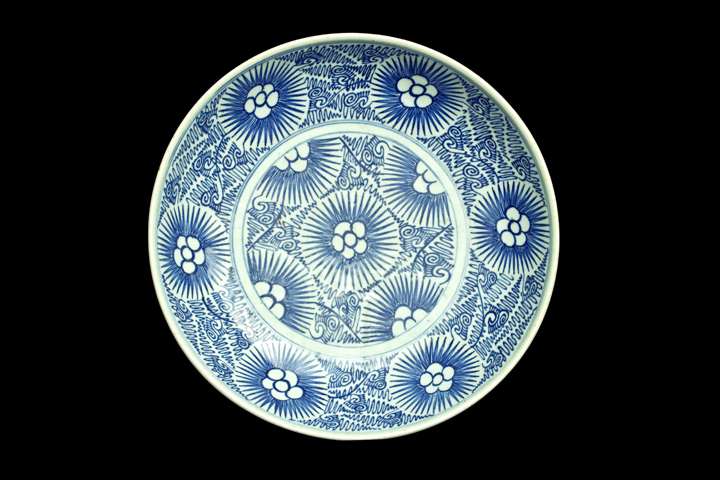 The blue and white flower painting on this dish is a new phenomenon, a new representative of the porcelain ware from that era. Highly collectible.